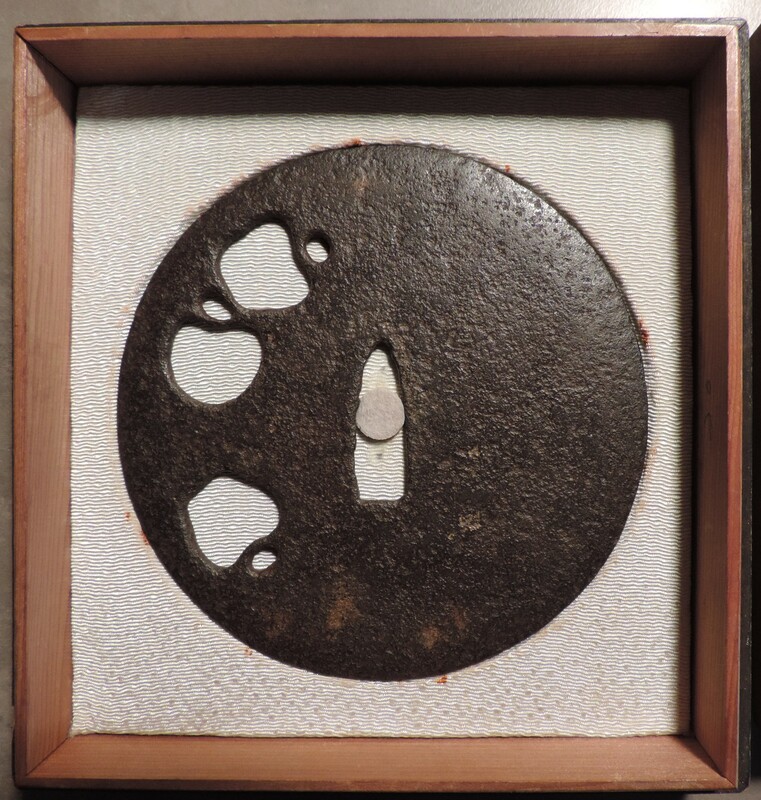 "A very large round (maru gata) and thin iron plate (tetsu-ji) with three negative silhouettes (mon sukashi) of kukurizaru (tumble dolls), given to the Kamakura period, ca. 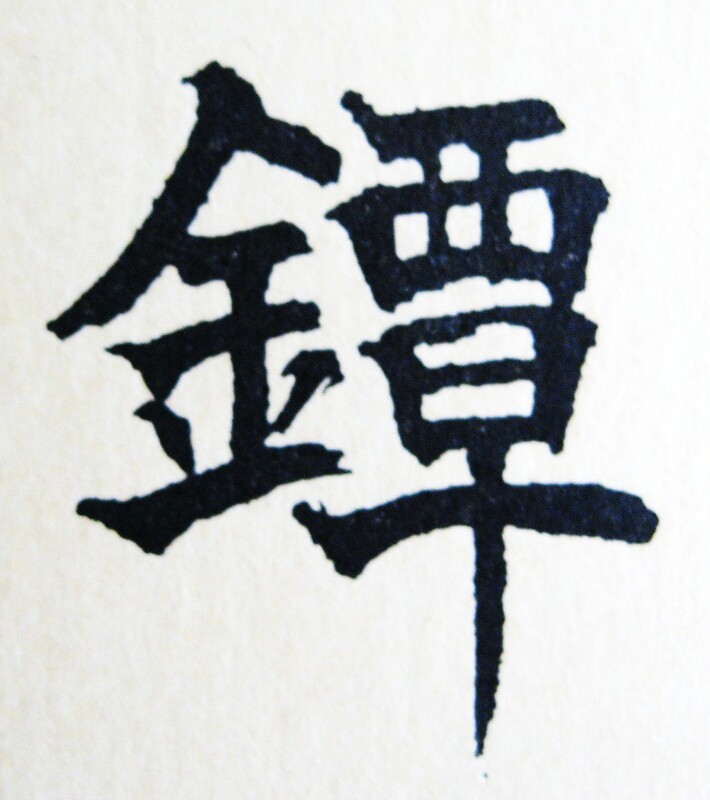 1300. 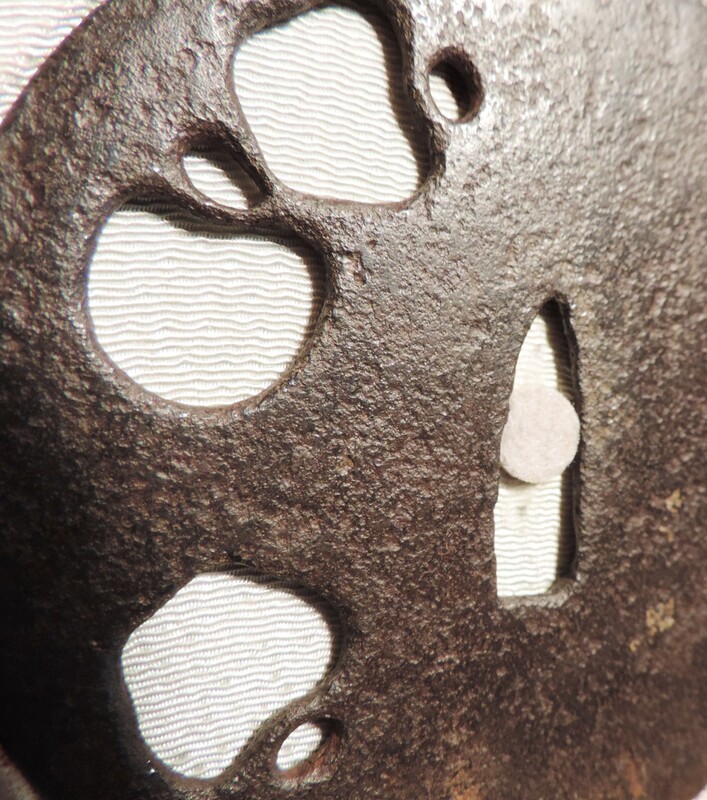 The beautiful iron surface and sensitive cutting of the open work give this guard a subdued elegance. 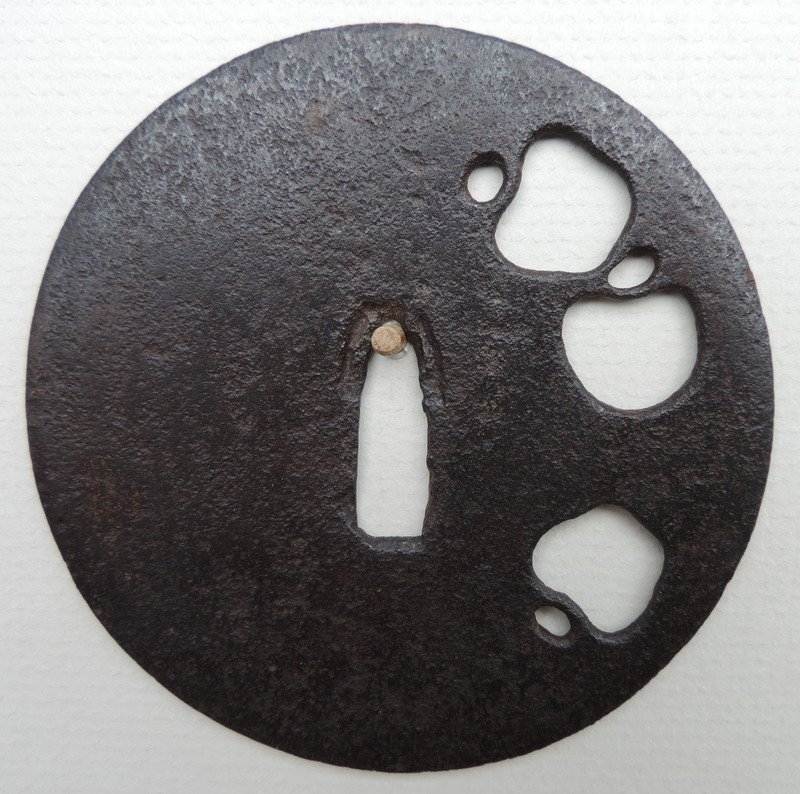 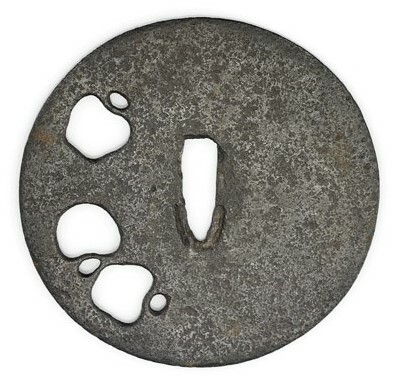 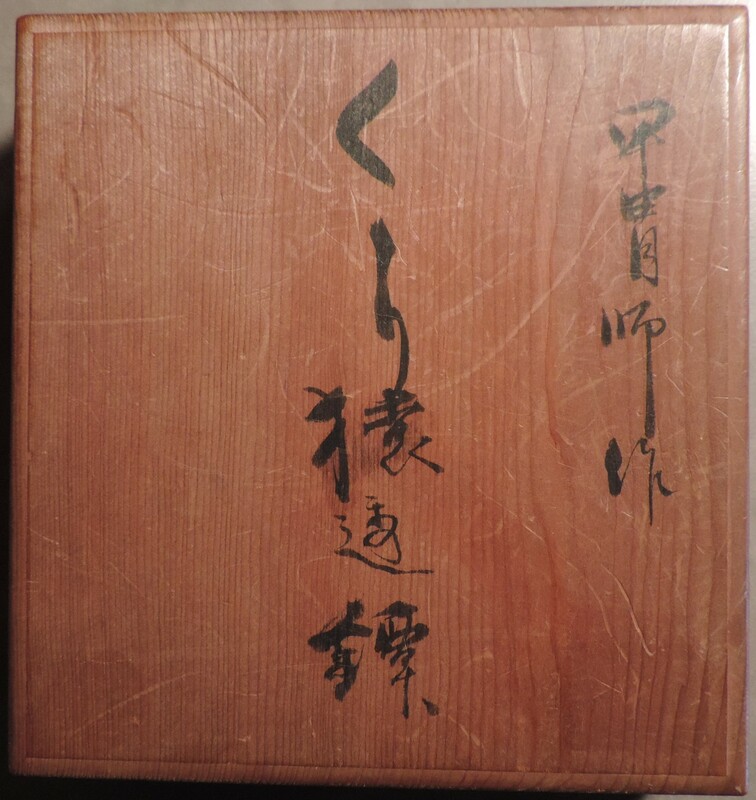 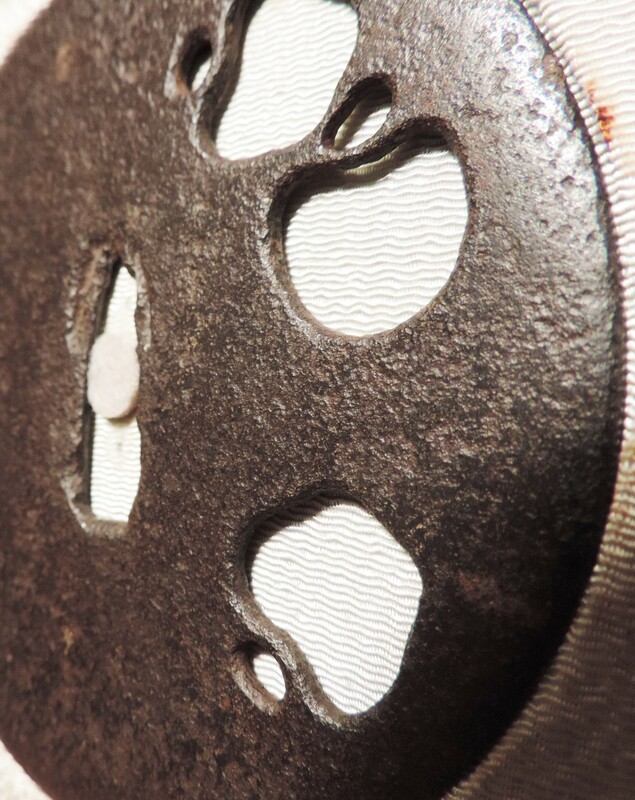 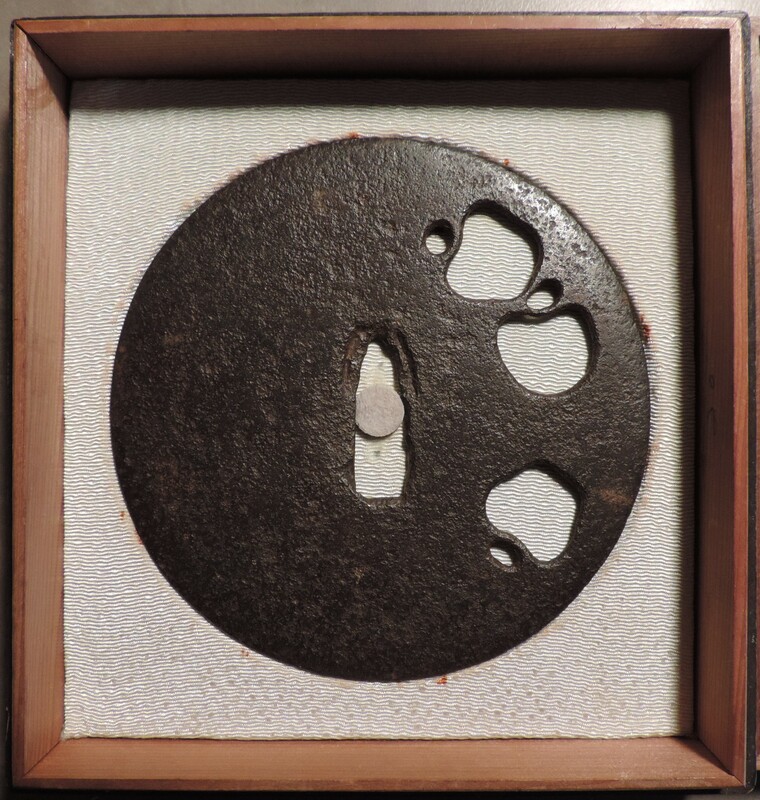 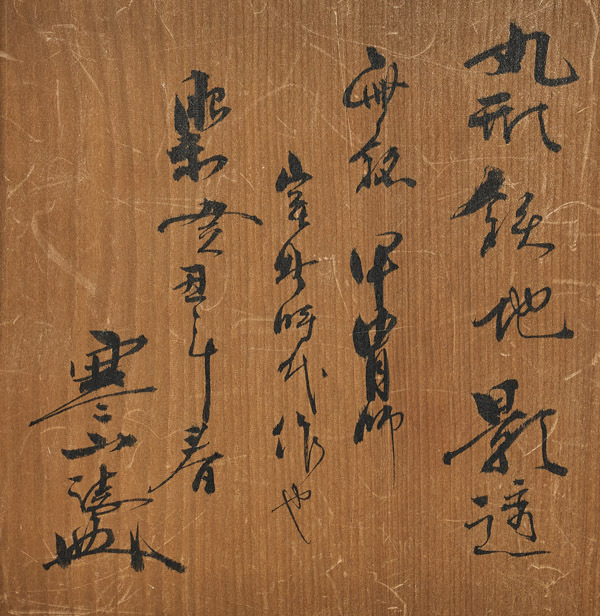 The marks on the seppa dai indicate this tsuba had been mounted at one time. 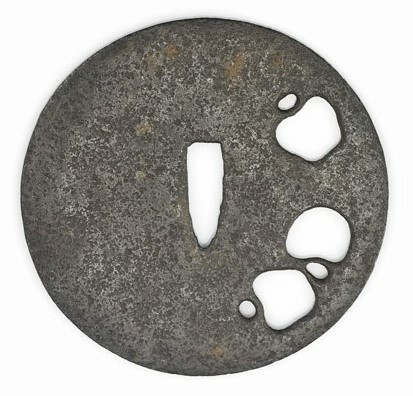 This massive iron plate is an 'ubu' example unaltered by the later addition of hitsu-ana. 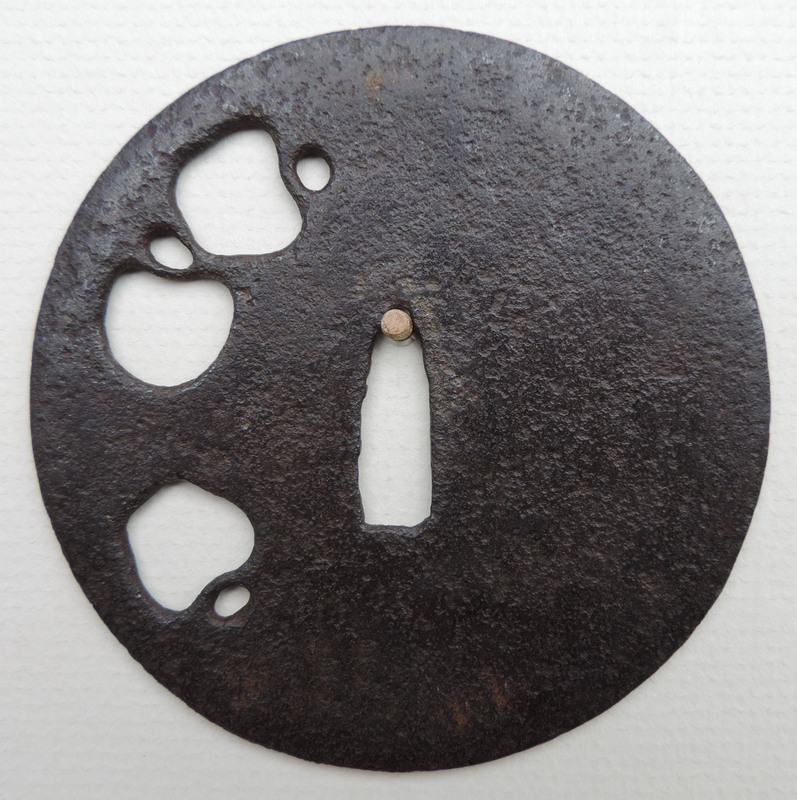 This guard is in excellent condition for its age and retains most of its original black lacquer on both sides.